A Scrum retrospective meeting, known also as a sprint retrospective meeting, is held to assess the work carried out by the entire Agile team, and to identify what needs to be done further to improve upon the current Scrum process. 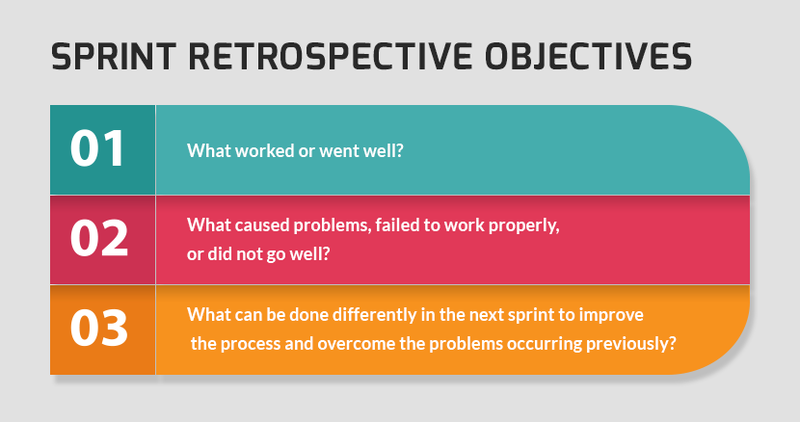 Associated primarily with sprint cycles, the retrospective session is basically an “improvement” meeting held to find ways and means to identify potential pitfalls, past mistakes, and seek out new ways to avoid those mistakes. Retrospective sessions are attended by all – the product owner, scrum master, development team members, and even the stakeholders (if they so desire). The main purpose of having a sprint retrospective meeting is to find what activities and “things” the team is doing well, what activities should be continued, and what “more” can be done to improve the development process. The “inspect” and “adapt” principles play a key role in retrospective sessions. The Scrum retrospective is a very important Scrum event, and should be taken seriously by all team members. It should be ideally conducted in an atmosphere promoting trust and honesty. Retrospective sessions can prove to be effective only when members can collaborate effectively and share their ideas without any inhibitions. So, how can Scrum retrospective meetings be more successful? A few pointers can help in availing positive results out of the meeting. Everyone should be able to speak freely and present his or her ideas, however vague or unrelated they may appear to be “at a first glance”. Sometimes a “wrong” idea can invite comments or suggestions which can lead to meaningful and effective discussions. Discussions, in turn, can give birth to solutions. Team members should not use the retrospectives to promote themselves or their beliefs. Discussions should be carried out which are related to, and affect the topic or issue being discussed. Efforts should be made to collaborate and avoid blaming individual team members for what went wrong. Scrum is a collective effort, and teams take precedence over individuals. Therefore, focus should be more upon what the “team” did wrong, and what the “team” should do now to improve. Points and suggestion discussed during the meeting should be implemented in a proper manner. If a retrospective does not include “Call-to-actions” in the end, the basic purpose of holding the meeting is defeated.